Context information stored by the Fiware Context Broker only includes the latest value of entity attributes. Draco is an alternative option to Cygnus for storing the historical data produced via the Context Broker ,. Draco needs to be connected to a store. Draco is a is an easy to use, powerful, and reliable system to process and distribute data. 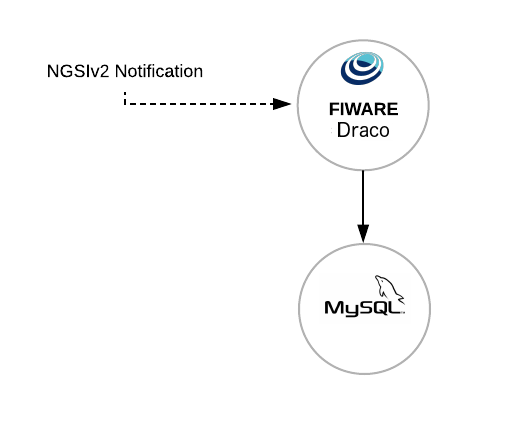 Internally, Draco is based on Apache NiFi, NiFi is a dataflow system based on the concepts of flow-based programming. It supports powerful and scalable directed graphs of data routing, transformation, and system mediation logic. 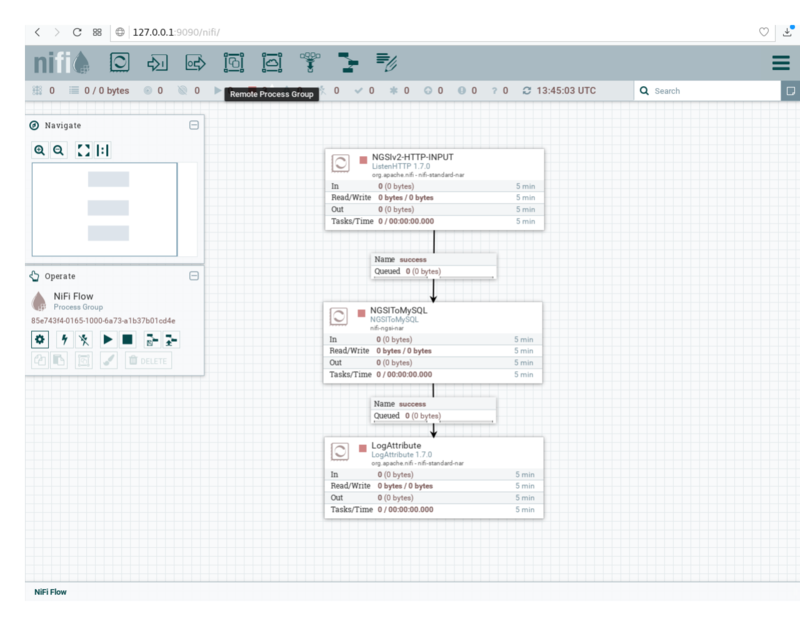 It was built to automate the flow of data between systems. While the term 'dataflow' is used in a variety of contexts, we use it here to mean the automated and managed flow of information between systems. In the figure below we can see that the user can issue REST HTTP requests. All operations are sent to the Orion Context Broker to be processed. Draco subscribes to Orion Context Broker, so Draco is notified of any change made to entities stored by Orion and then this data is persisted in one or more databases. When you start Draco, add and configure your processors, you will be able to persist your data into your database. Thus, using Draco Generic enabler you can store all the data coming from the Orion context Broker and the databases and tables will be created automatically.